When we go to Asda, i love when at the check out i find the new issue of their magazine. Its always got some brilliant recipes in it and they are usually budget friendly. 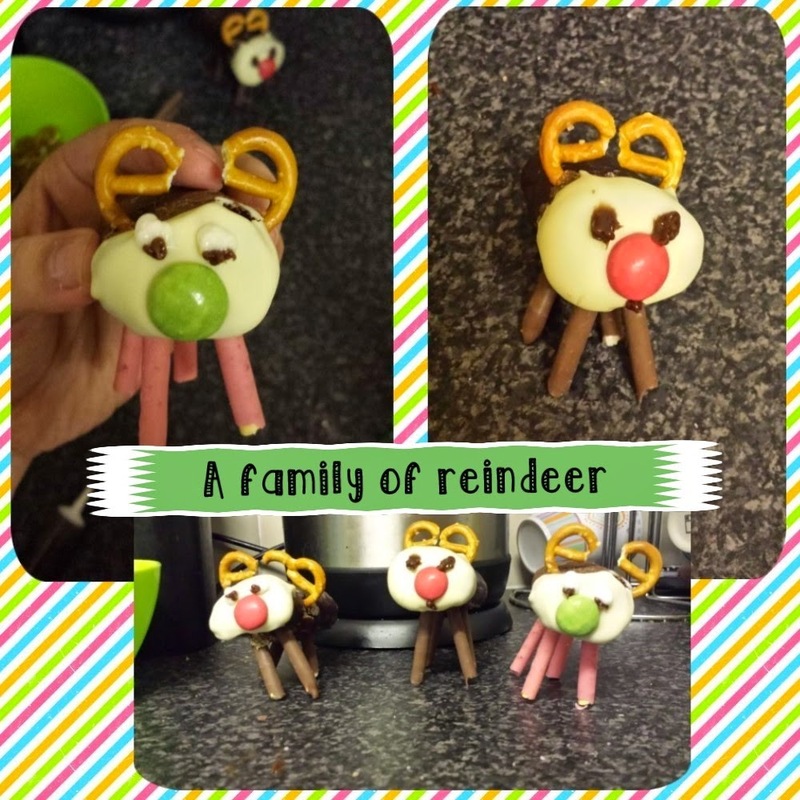 On their cover was some Reindeer treats that Agent M was desperate to make. When i was in town today i found some of the ingredients in Home Bargains and Poundland so i decided I'd let him loose in the kitchen. First off let me tell you what you'll need to make them. 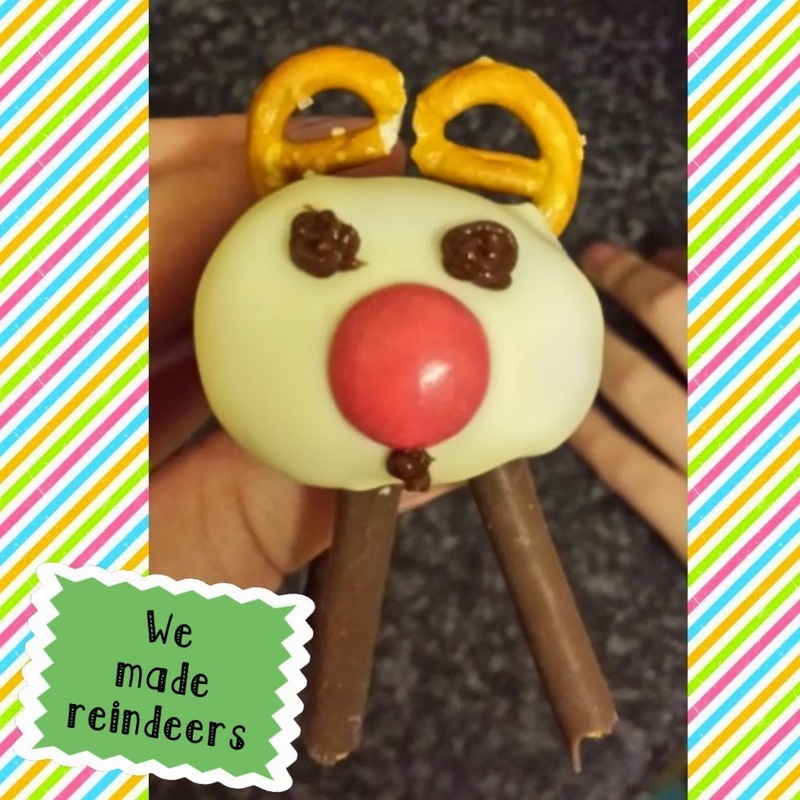 The recipe asks for Mini Rolls for the body, White chocolate for the face, Smarties for the nose, Pretzels for the antlers and match makers for the legs ... As well as icing pens for the little details. I had to skip some corners thanks to a very strict budget. Everything i bought was from a discount store so it all came to under £4.50 where as the brand name products would be closer to (if not over) £6. 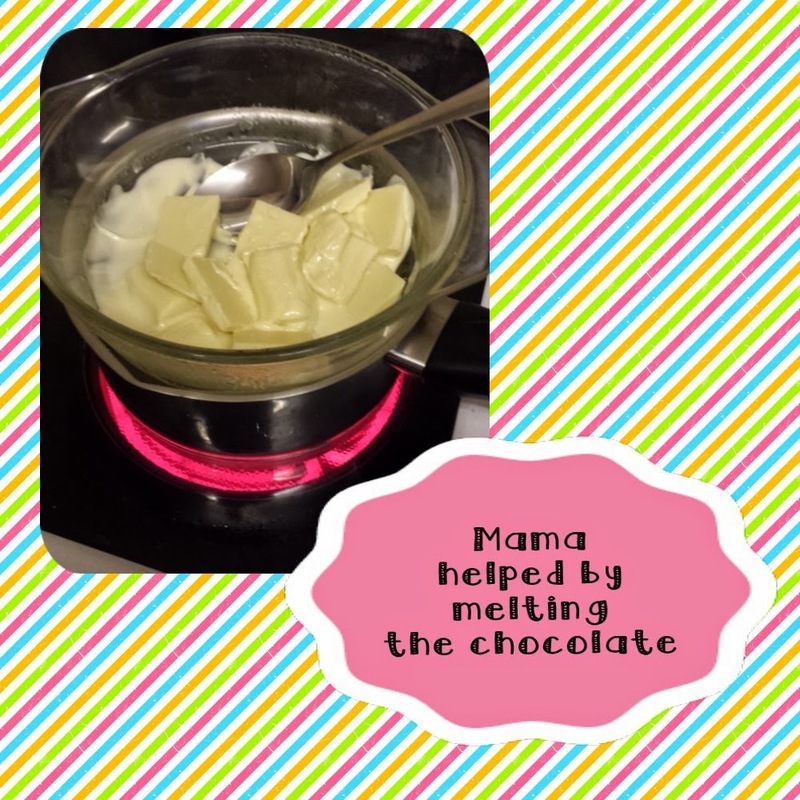 Agent M was very insistent that he do it himself, however when it came to melting the chocolate, I stood my ground. As independent as he wishes he could be ... he's a long way off being let loose with the cooker and boiling water. So with the magazine in front of him, He got started on his Reindeer. 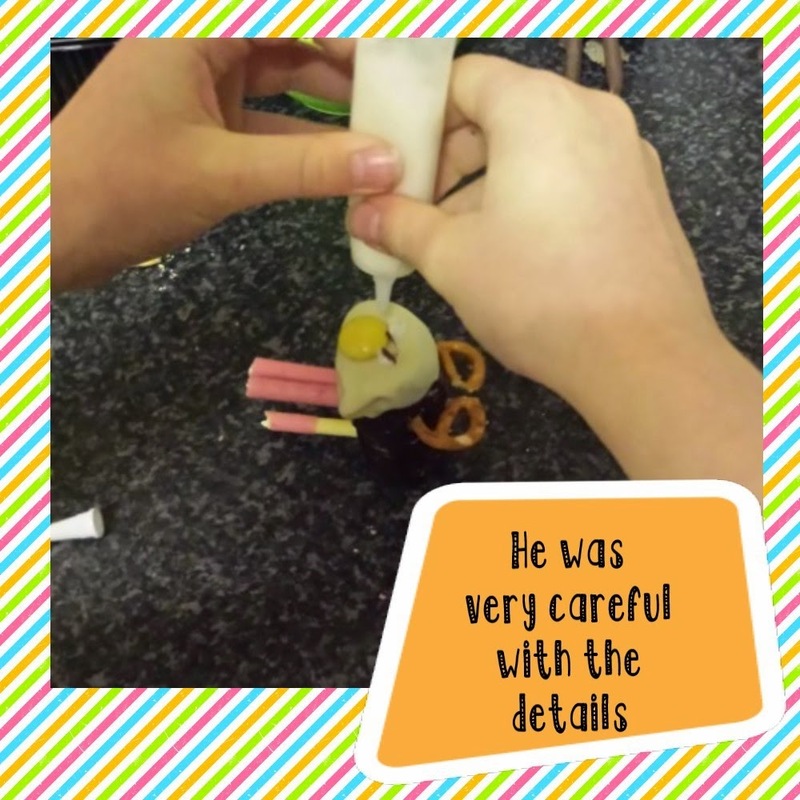 To make them, He dipped the end in the melted chocolate and added a smartie just before it set. He done this to the ratio of 1 smartie to the roll:1 smartie to him (and a few extra that he thought he got by me lol). 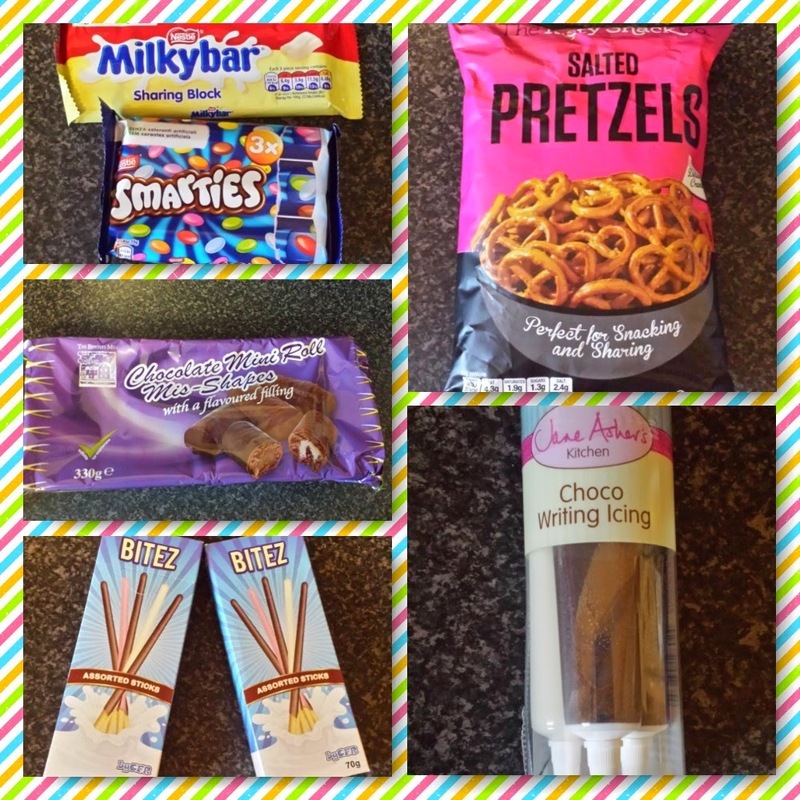 We broke up the chocolate dipped biscuit sticks (these cost 29p a box) and he stuck them for legs. The pretzels were broken in half and used for the antlers. We got chocolate icing tubes and once the white chocolate was dried, he made the faces. 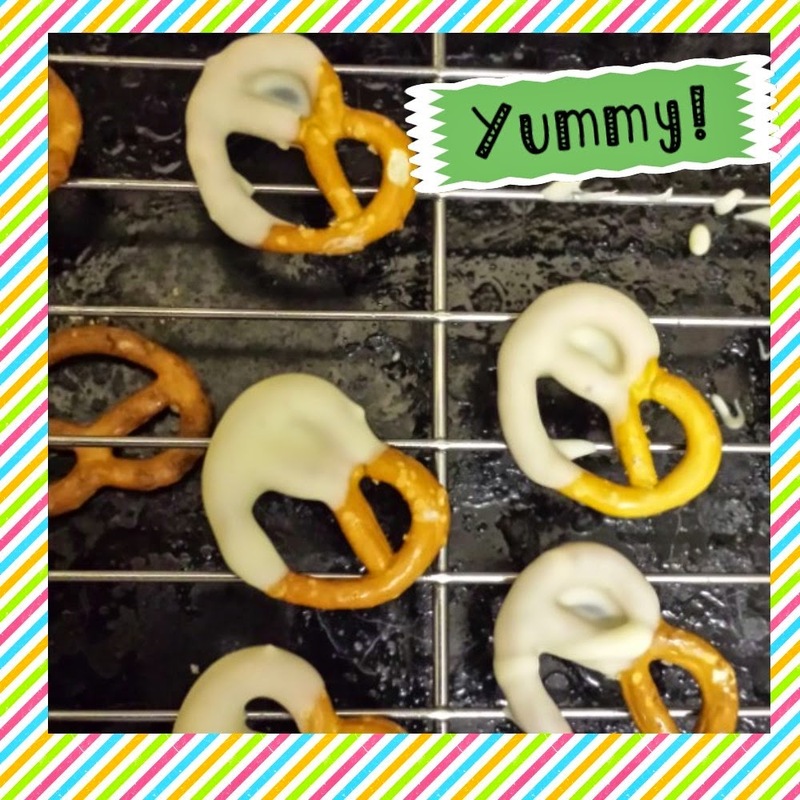 There was enough white chocolate left over for us to make chocolate dipped pretzels ... Which have been boxed ready for Agent M's school snack tomorrow.